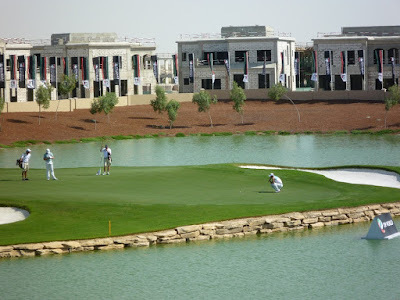 The 2087 DP World Tour Championship, Dubai golf tournament on the European Tour is taking place this week from November 15-18, 2018, at the Jumeirah Golf Estates located in Dubai, United Arab Emirates. Here is a list of the prize money up for grabs for the European Tour players this week at the 2018 DP World Tour Championship, Dubai. The DP World Tour Championship, Dubai dates back to 2009. It is the season ending tournament on the European Tour and at its conclusion the winner of the Race to Dubai playoffs will be determined and the bonus pool prize money payouts will be awarded which you can see here. Rory McIlroy and Henrik Stenson jointly hold the record for most wins in the DP World Tour Championship, Dubai with two each. Jon Rahm from Spain is the defending champion. Total prize money up for grabs at the 2018 DP World Tour Championship, Dubai is $8 million. Only the top 60 players in the Race to Dubai season long points standings are eligible to play in this event. There is no cut this week and all 60 players will get a paycheck with the 60th player getting at least $25,000.